We’d love your help. Let us know what’s wrong with this preview of The Treasury Of Knowledge Book 8, Part 3 by Jamgon Kongtrul Lodro Taye. To ask other readers questions about The Treasury Of Knowledge Book 8, Part 3, please sign up. This book is mistitled. A better title would be The Treasury of Superstition. It is religious nonsense from start to finish. The first Jamgon Kongtrul, Jamgön Kongtrül Lodrö Thayé (འཇམ་མགོན་ཀོང་སྤྲུལ་བློ་གྲོས་མཐའ་ཡས་ 'jam mgon kong sprul blo gros mtha' yas), was one of the preeminent scholars in 19th century Tibet, often referred to as Jamgon Kongtrul the Great. 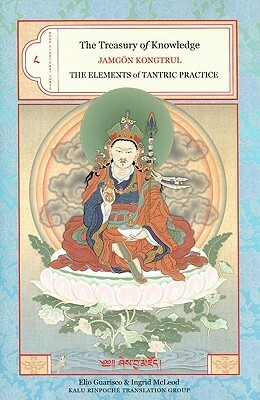 The name Kongtrul is a contraction of Kongpo Bamtang Tulku, of whom he was held to be an incarnation. He also was a tertön, or "revealer of Dharma treasures," a The first Jamgon Kongtrul, Jamgön Kongtrül Lodrö Thayé (འཇམ་མགོན་ཀོང་སྤྲུལ་བློ་གྲོས་མཐའ་ཡས་ 'jam mgon kong sprul blo gros mtha' yas), was one of the preeminent scholars in 19th century Tibet, often referred to as Jamgon Kongtrul the Great. The name Kongtrul is a contraction of Kongpo Bamtang Tulku, of whom he was held to be an incarnation. He also was a tertön, or "revealer of Dharma treasures," and in that capacity was given the name Pema Garwang Chimé Yudrung Lingpa.